Dying is an inevitable phase of human life. No one has yet reported what dying will be like. But for those who are left, it will mean a heart-rending pain and an unending episode of tears. Losing someone you love is a different kind of pain. It is that kind of pain that if possible, you don’t want to experience. That if only you got the power to turn back time, you would have. Unfortunately, humans are incapable of doing which. It is a fact of life that everybody must undergo. Take all the chances that you can have to be with your departing loved one. Make more memories, good memories. As much as possible, do not show them that you will be devastated. Place yourself in their shoes. If amenable, bring your loved one to special places. For the last time, let them enjoy life. Gather the rest of the family as well to share this insurmountable burden that is pressing now. Be very sensitive. A person who has limited days on earth must have heavy thoughts and feelings. Giving them enough space and silence can help them sort things out in their minds. When drama builds up, try to settle issues as soon as possible. Try to control the situation as not to cause further agitation and anguish to the patient. Grab a photo album or play some old videos. Show your loved one that he lived a beautiful life. Bring up good memories and let him laugh a lot. Keep the positive vibes flow. Say this phrase as often as you can. Mean this phrase harder than you ever did. Somehow, it may alleviate all the physical and emotional hurt that your loved one is carrying on his own. Let yours and the rest of the family’s love be his comfort. This will be the hardest part. In this step, you will have to accept your loved one’s departure. Say “thank you” and “I’m sorry”. Provide closure to whatever matters that are left open and unsettled. Let him exit this world with a light, warm, and happy heart. Abundant Life Assisted Services offers more than just Senior Home Care Services in Georgia. 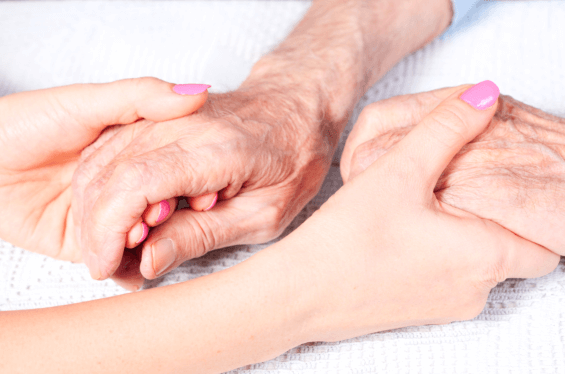 We also provide for hospice care straight to your loved one’s home. We would like to keep a terminally ill loved one dignified and well taken care of until his last breath. We shall deliver Senior Care Services and other services to secure his utmost comfort while waiting for the golden gates of heavens to open. Abundant Life Assisted Services wishes to assist your loved one and the entire family at this sensitive moment. You can visit us at www.alascare.com or email info@alascare.com. This entry was posted in Elder Care, Hospice Care and tagged Dying, Terminally Ill Loved One. Bookmark the permalink.